2019 Note: The Runcam 3 has been discontinued from the US market because of possible patent infringement with GoPro, but Banggood has informed me they have a good amount of stock of the new version – Runcam 3S WIFI. Runcam has also come out with an alternative to the Runcam 3, called the Runcam Split. Back in the day, people used to mount full sized GoPros on their miniquads, and as a result, we ended up with a lot of broken GoPros! 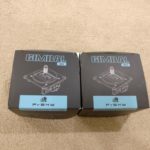 Then GoPro came out with a much smaller version of the GoPro Hero, called the GoPro Hero session, which had a smaller form factor, was much more durable, and lighter, making it very suitable for miniquads. Fast forward a couple of years and Runcam – the same company that makes awesome FPV cameras – comes out with the Runcam 3, an HD recording camera that has a form factor very similar to the GoPro Session and comparable if not better video quality suited for miniquads. The Runcam 3 is only a few millimeters larger than the GoPro session and maintains the same cube shape, so you could use 3D printed TPU mounts designed for the GoPro session with the Runcam 3. 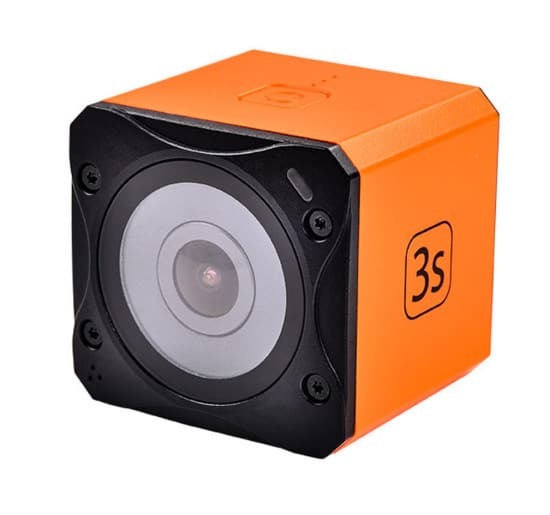 The camera has the trademark Runcam orange body, which as Oscar Liang noted makes it much easier to find in case of a crash and the camera ejecting from your miniquad. On top, there is a single button that serves as power and start/stop recording, which is surrounded by an LED status light. On the back, there is a single mode change/WiFi button. There are two microphones, one on the top and one on the back, which Runcam says minimizes wind disturbance(if you’ve listened to a recording from a Xiaomi Yi, for example, you’ll know what I’m talking about). One side of the camera has a micro USB port, and the other has an SD card slot covered with a silicone flap. The flap is a good touch, since it’ll (should) prevent the card from ejecting in a hard crash. However, I found the silicone flap impossible to open with just my fingers, and had to use a pair of tweezers to pry it open! The lens is covered with Gorilla Glass, which is toughened and should withstand even some pretty bad crashes – but don’t expect to crash into a metal pole or concrete and walk away unscathed. The Runcam 3 is designed specifically for FPV – which is why the manual contains a warning stating you must not use the Runcam as a dashcam or you’ll risk damaging the components. I suspect this is because they’ve crammed a lot of electronics into a small package, so there is a risk of overheating if there is not enough airflow. The WDR(Wide Dynamic Range) on the Runcam 3 is a huge selling point for this camera. WDR makes a huge difference when you are shooting a large variety of lighting in a single frame, most notably seen when you have the sun in your view – without WDR, the sun’s immense light would make everything else appear much darker, since your camera’s lens has to adjust to let only so much light in. With WDR, however, the camera is capable of producing correct colors for both brightly lit and dimmer objects – so you’ll capture much better video. 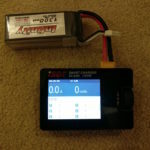 This is especially important for FPV, since your miniquad is always going to be moving in and out of the sun. Runcam also includes a video out cable which you can connect to a vTX, and the Runcam 3 has comparatively low latency so you could use it in theory as an FPV camera. I would not recommend using it so on a miniquad, but if you have a larger, slower flying setup, it would be very possible to use it so. At 1/4 the price of a GoPro session, the Runcam 3 is a solid camera – whenever I buy expensive things for my miniquads, I always factor in a “crash value”. For example, my earlier recording camera was the Eken H9, which cost just $40 – I figured I could buy 10 Eken H9s for the cost of a single GoPro Hero 5. The same logic applies here for me – I could get 4 Runcam 3s for the cost of one GoPro session, so it’s a no brainer for me which one to get. Sure, the GoPro is waterproof, which may be an important consideration if you fly around water a lot – I don’t so it doesn’t make a difference for me. The Runcam 3 also has lots of appeal for people not living in the USA(like me) – while I could splurge and get myself a GoPro, I would not be able to get it repaired as easily – so it’s much better for me to get a Runcam, and in case it breaks, just get another one! Since there is no LCD on the Runcam 3, the only way to change settings properly and even get a bit of a live feed/playback on the go is using the Runcam app which you can download for both iOS and Android. The app is very smooth, and connecting up the camera was easy enough. You can then choose to save videos directly to your phone, change the cameras settings(including adjust white balance etc), and even control recording from your phone. I don’t recommend controlling recording from your phone if you are flying, though, it’s always better to do it manually using the button. Like I said above with regards to value for money, you really can’t beat the Runcam 3. 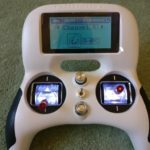 It’s a shame they’ve been discontinued and stocks are limited – Banggood has exclusive selling rights now, so pick one up from them while you can!